Girls and boys, I'm running out of birthday stories! Hmm, there was that time I fell face first in a parking lot on the corner of Hollywood and Vine and had to stand on the street corner with Louboutins in hand and end of the night raccoon makeup waiting for my ride. I'm sure inferences were made that night. And there was the year I boycotted my birthday because I refused to age anymore. I was nineteen. One year, I invited friends over to play Chinese jump rope and handball inside my house and subsequently broke a very expensive German cuckoo clock. And then there's the birthday spent on the roof of a castle in Quebec overlooking the stars and the city. But enough rambling. Let's get to the giveaway! 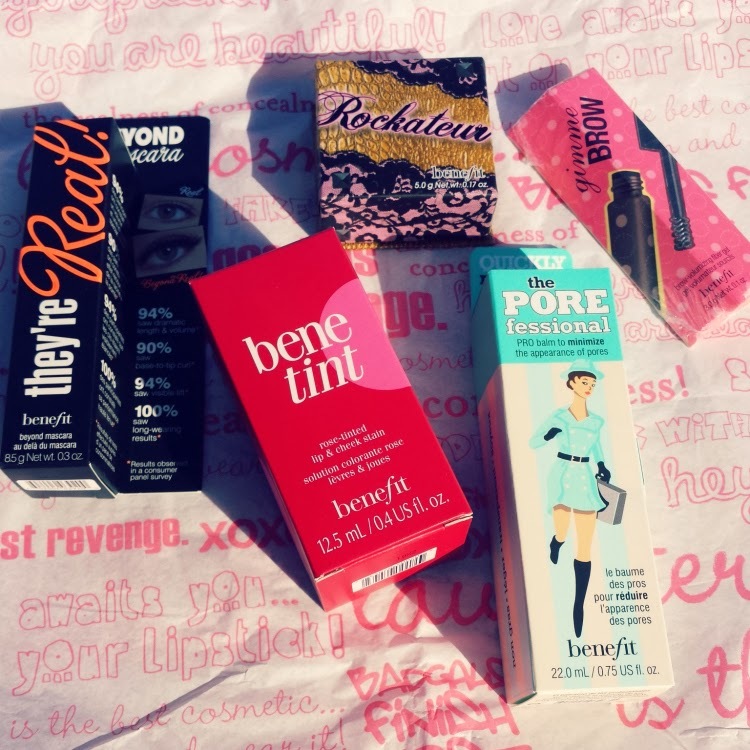 On Day 6, I'm giving away a Benefit Cosmetics Beauty Kit. The pore minimizer, glow enhancing blush, cheek tint, mascara, and brow gel will help achieve a flawless yet natural look so you can shine beautifully and effortlessly during the holidays. Enjoy! I lol'd about your story holding your Loubs on the corner in smudgy makeup! That's what birthdays are for: memories! Liked your FB page under MC Chau. Followed on Twitter and Instagram under @cxc118. Thanks for sharing all your Birthday stories! twitter: @lazyobsession /....tweeted the bonus too! and i already follow and liked the picture on IG - thanks! I follow on Instagram hootowl1978 I liked the photo. I'm following on FB: Jenna Osborne; twitter @Kissesforusall; IG: TheSharpTeethOfLove and liked your photo. I like your page on Facebook (Kristin Tisdelle), follow on Twitter (@0814kat), and follow on Instagram (@ktisdelle) and liked your photo. Follow you on Instagram and liked my Benefit Cosmetics photo! These products make such a lovely makeup look!